This is my first blog here on Fasting, Feasting, FREEDOM in well over a month. I have been working on the development of Kim Smith Mentoring and as such, I’ve been blogging “over there.” I’m not sure what the fate of this website will be, except to know that it will continue to live here to promote our book and our story. It will be the land of the formerly Shrinking Smiths. That’s why I’m writing now. I have exciting news about the next step in the life of Unbelievable Freedom as a self-published motivational memoir. We have accepted an offer for the Korean rights. It will be translated into the Korean language and distributed throughout South Korea – a country of 50 million people, one where intermittent fasting is extremely popular. This will take many months to actually happen, but the contract is official and I was given permission to share this news. But wait, what? How did a couple from Maine who has never written a thing before this book, who has barely been anywhere, end up with an international book deal? If you’ve followed our story, you know how and why we decided to write the book. We wrote feverishly over several weeks in July and August, and spent September on editing, then formatting. The book was available for sale on Amazon on October 11, and in late October, a friend who creates and publishes press releases did one for us. The press release caught the attention of a producer for Seoul Broadcast Services, which creates programming for one of the largest TV channels in South Korea. The producer was making a documentary about intermittent fasting success stories and wanted to know if we cared to be interviewed. That experience in early November was surreal on its own – a bilingual film crew in our home, filming us cooking and eating, flying a drone to get aerial footage of our little neighborhood. We were looking at each other like, is this for real? 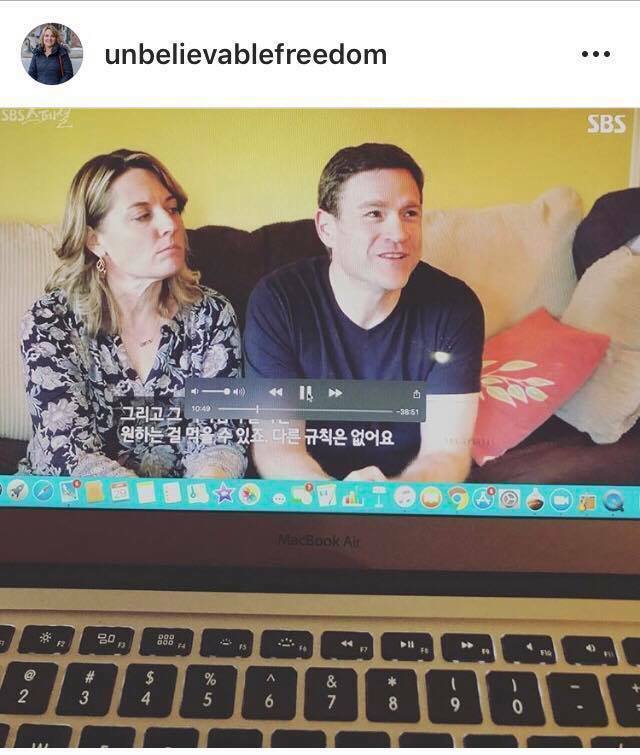 The documentary aired in January (in Korean, with subtitles for our portion!). From what we’re told, it was very well-received. It also caught the attention of a Korean literary agent, who reached out to us on behalf of a major publisher there. So, trusting the great unfolding, we sought and secured a US-based international rights agent of our own, and the deal was negotiated. It’s nothing we ever expected, but we welcome another very cool opportunity – this one to be international authors! My new perspective is this – don’t focus on what you want, but rather, ask what is trying to unfold. Last spring and summer, I was filled with a restlessness to better use my gifts and talents. I had (and have!) a powerful message about living a life of unbelievable freedom – in the areas of weight and food, but so much more than that. I asked what was trying to unfold, which led to the book, and now, to whatever comes next. The unfolding continues…..stay tuned.